UK Poker News once again dips into Ireland for a chat with one of the Emerald Isle’s emerging forces in poker, Kieran Walsh from Cork. 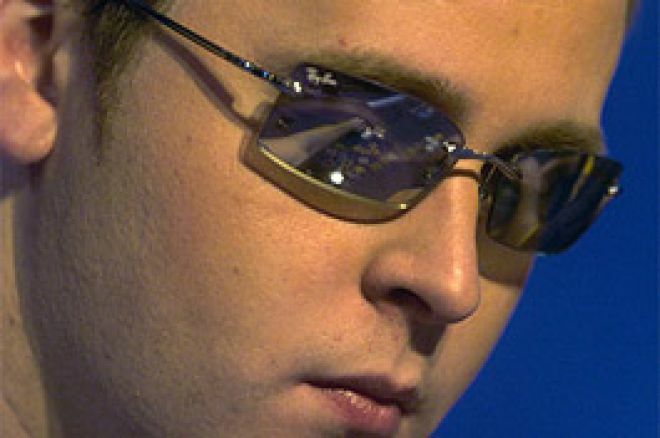 Kieran was the first winner on the Irish Poker Tour in January 2006 at the Boylepoker.com Irish Poker Championships. Since then, he has taken his game to greater heights and now plays professionally. He recently qualified for a seat at the Ladbrokes Poker Million so we can expect to see him in action on Sky Sports at least once. Our resident Irish correspondent and all-round good poker player, Ollie Boyce, caught up with Kieran ahead of the next IPT event at City West, Dublin, that starts this week. In Part 1, Kieran discusses his emergence into poker and the excitement of his great victory in January, and the crucial hands that helped him on his way. Later on in Part 2, Kieran talks about doing deals, learning the cash game, and much more. Don’t miss it! UKPN: Hello Kieran, thank you for taking some time out to chat with UK Poker News. KW: Hi Ollie, it's a pleasure to talk to you guys. UKPN: Firstly, can you tell us about yourself, how you got started in poker, how long you’ve been playing and what levels you played before your IPT win last January? KW: I'm 23 years old and live in Cork. I studied Economics at UCC before joining the family’s engineering company. For the last 3 years I have been playing in the Macau Sporting Club in Cork City and for about the last 18 months I have considered poker to be my main source of income (even though I still like to be involved in my family’s company at any available opportunity). I first started playing 5-card draw when I was 16. My uncle is fairly well known in those circles and he was probably the first to teach me. I remember the very first "classic" I played in. It had 110 runners and I finished 8th (think the buy-in was £100 and I got about £600). Ever since then I was hooked. I picked up Hold’em when I turned 18 (through friends) and about 3 years ago, I started frequenting the Macau Sporting Club in Cork playing tourneys and small cash games. At first I didn't feel I was improving at all but my results did with lots of final tables and a good win percentage. I started to turn my attention to cash games. I lost at first by not adjusting my game but several thousand euros later, I was turning a tidy profit. I moved up to the €100 round of each game to try and increase my winnings but I found that all it did was give me bigger swings. I took a little time out to do some reading on Omaha and played a little online before returning and discovering that I now loved the game of Omaha (after going through a stage of hating it!!). I had built a bankroll of about €30K before I decided to take a little break for a month. I found that both my health and my relationship with my girlfriend had deteriorated along with my game. I used the month off to fix all those things. That was around Xmas time and when I came back in the New Year, I travelled to Dublin to compete in the IPT. UKPN: Many people reading this will have seen you on RTE last year winning the IPT Boyles Sports, the first time any event has been televised in Ireland. What can you remember about the event and what special moments do you remember? KW: The weekend was almost a blur. I remember having such an easy first day and accumulating chips as if I was printing them!! I really did get cards and everything went my way. The second day wasn't much different to be fair except for some minor hiccups along the way! I remember being so nervous around the final table bubble but at 10-handed, myself and Barny Boatman got involved in a pot that could have finished me. I was on the small blind with J9 clubs. Mukesh Morjaria was on the big blind. Barny had flat called out of position which immediately struck me as unusual. I called the big blind and the 3 of us saw the flop. It read J spades - 4 diamonds - 9 spades. Immediately, hoping to take the pot right there, I bet out 60,000 - a pot-sized bet. Mukesh folded and around to Barny who raised 250,000. I had a lot of thinking to do. First thing I considered is if I really wanted to put my tourney at stake right here. The mentality I had was that I was there to win the tournament - not to just make the final table. I knew this was my opportunity to go to the final table as a big chip leader. Now, I had to work out what Barny was holding. First off, I didn’t believe he had a set because if he did, I think he would just be flat calling my bet in order to trap me. Another factor was that there were only two jacks and two nines left in the deck so it was highly unlikely he was holding them. I didn’t believe he would even call with pocket 4’s from early position at such a crucial time in the game. What I really believed he was doing was betting a draw. It was unlikely he was calling pre-flop with Q-10 so it had to be a nuts flush draw…. Probably AK spades. If my read was right, I knew I was 4/7 favourite. After a LONG pause, I pushed all in. Barny thought for about ten seconds before calling and to my delight, he turned over A8 spades. I wasn’t out of the woods yet; I still had nine spades to dodge - twice!!! Thankfully, the turn and the river brought two beautiful red cards. When I gathered in that pot, I had nearly 900K. Five minutes later, we lost the final player of that night. That was for me the most important hand of the whole tourney. On the final day, I just stole some blinds in the early stage and basically kept out of trouble. When my opportunities came I took them and everything worked out alright on the night!!! UKPN: At the IPT Boyles Sports, you were up against a host of top players such as Ram Vaswani, Andy Black and Roy Brindley which must have been quite an experience for you. Can you describe how it felt to play at the same tables as these professionals and what you did to handle the emotions and pressure of being live in front of the cameras at the same time? KW: It's amazing to play with guys that 6 months ago I was watching on TV. When you're playing with these guys, I think it's best to forget who they are and play the hands just as they present themselves. I meet most of the top players in the UK all the time now and even consider some of them friends. UKPN: A lot of people thought your call on the flop against Barney Boatman in the hand that you knocked him out on, was an unusual play. Can you explain what happened during this hand and why you decided to call and what your thought process was? KW: I get asked that a lot!!! Basically, Barny had raised on the button 3x the BB and it was folded back around to me at which point I looked down and saw AK. I decided to flat call. Flop came Jack-rag-rag. I checked and Barny instantly bet out a sizeable amount. From this, I know he hasn't made a set because if he did, he would check-raise. At this point, I've convinced myself that he has a middle pair and I know he is still in front, but I decided the best play was to represent the jack. So I called thinking that I would go into the turn and the river as the aggressor - and leave Barny believing that I was trapping. When the turn came a rag card, Barny and I both checked. At this moment I figured if the river came higher than a 10, I could pump the pot and Barny would have to lay down. Also, I was getting a free card. When the river came an ace (for top pair), I bet small hoping that Barny would think he could represent the ace. Barny came over the top and we ended up all in. My pair of aces beat Barny's pocket 77.